My department, the Department of the Prime Minister and Cabinet (PM&C), has accepted the four recommendations contained in the ANAO report – and has either taken action, or is implementing changes, to make improvements consistent with the recommendations. 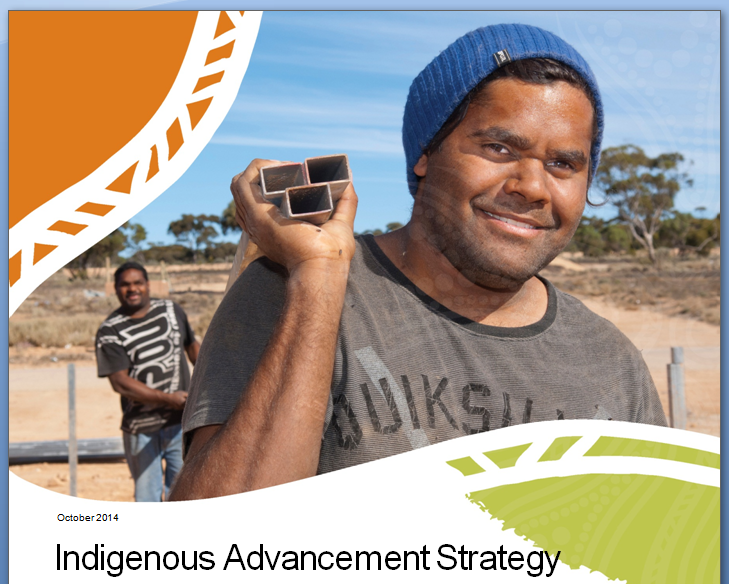  Releasing the revised Indigenous Advancement Strategy (IAS) Guidelines and a range of supporting application material and information for applicants. This material clearly describes the application assessment process and the criteria that an application will be assessed against by the department.  Giving a stronger role to regional network staff in supporting organisations to develop proposals, particularly through the new community-led grants process.  Establishing a strengthened Assessment Management Office to coordinate application assessment and briefing processes. In addition, the Coalition Government has announced it will allocate $10 million a year over four years to strengthen the evaluation of Indigenous Affairs programmes. The multi-year programme of evaluations will be underpinned by a formal Evidence and Evaluation Framework to strengthen reporting, monitoring and evaluation at a contract, programme and outcome level. The ANAO’s report highlights broad stakeholder support for key features of the IAS, including the benefits of having a more consolidated programme structure, greater flexibility through which organisations can receive funding, reduced red tape for service providers and developing local responses to issues. What the ANAO audit does not recognise, however, is that frontline service delivery was maintained and outcomes improved through the introduction of the IAS. Assessing the success of the IAS based on the introductory period is premature. Any fair and reasonable assessment of the IAS needs to consider a timeframe well beyond the introductory period to give the strategy time to deliver the intended benefits. By focusing its audit on the grants round, the ANAO has paid insufficient regard to the state Indigenous Affairs was in when the Coalition Government came to office in 2013 – and hence the need for the Government to implement its reforms. Before the Coalition introduced the IAS, it was not possible to say where and how muchtaxpayer money was being spent or what outcomes were expected for the outlay. I know this to be true, because they were questions I repeatedly asked in Senate Estimates as an Opposition Senator. The Government’s reforms have enabled a far more strategic and flexible approach to the Government’s investment in Indigenous Affairs to achieve better outcomes on the ground while relieving administrative burden and red tape for organisations servicing Indigenous communities. It is unfortunate the ANAO, in undertaking its audit, consulted primarily with service providers that were competing for funding – not the communities that have benefited from the Government’s reforms. PM&C’s response to the ANAO report is available here. Not only did the Government rip more than $500 million from the Indigenous Affairs budget, the entire process has been completely shambolic, leading to widespread confusion amongst local organisations. Aboriginal and Torres Strait Islander people are worse off today because of the incompetence and ignorance of this government.  The implementation of the Indigenous Advancement Strategy was botched.  Administration of funding “fell short of the standard required to effectively manage a billion dollars of Commonwealth resources”.  There was a failure to consistently assess funding applications against the guidelines.  There was a failure to establish performance targets for all programs.  There is little evidence that programs which received funding delivered the desired outcomes.  There was not proper communication or consultation with organisations.